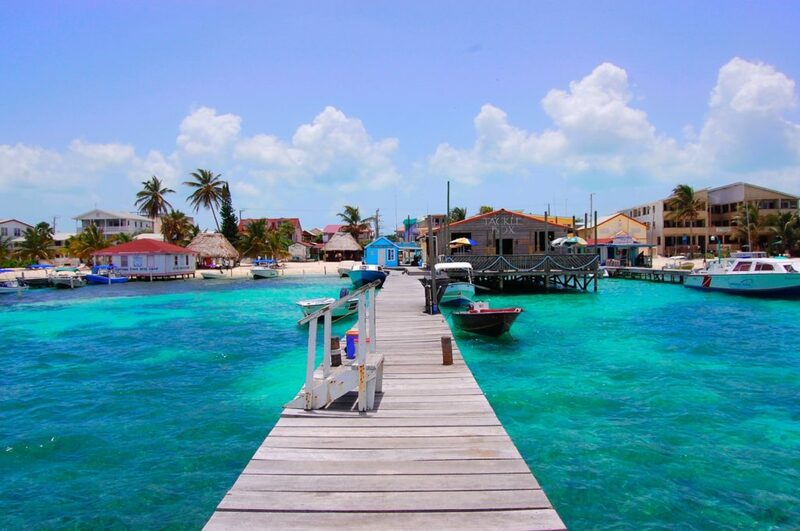 Belize: Central America’s Tropical Paradise - live. travel. blog. More than one million people visited Belize in previous years,and the trend suggests the numbers are going to keep rising. The small Central American nation sandwiched between Guatemala and Mexico is what can only be described as a tropical paradise. Expect beautiful stretches of beaches, incredible coral reefs, Mayan ruins, national parks and a variety of luxurious overwater bungalows in Belize. Here are the top places to check out in Belize’s tropical paradise. A caye, pronounced key, is the name of a small sandy island, of which Belize has hundreds. Many tourists often head straight to one of the cayes as soon as they arrive in the country. Here are the ones you shouldn’t miss. Belize’s largest island, Ambergris Caye, to the north stretches 40 kilometers (25 miles) by 8 kilometers (5 miles) and is one of the most popular tourist spots in Belize. The Great Barrier Reef, a short distance from the eastern part of the island, forms the most famous attraction. Tourists can either take a speedboat (one and a half hours) or a seaplane (10 minutes) from Belize City. Apart from experiencing the reef, other favorite activities include deep sea fishing, sailing and scuba diving. Most accommodation is centered in and around San Pedro, the island’s main town. The laid-back Caribbean Island of Caye Caulker is one of Belize’s gems too. Expect long sandy beaches along with impressive diving and snorkeling spots in the warm waters. If you spend a few days, join some of the diving tours, visit the coral reefs, enjoy the seafood and most of all relax. More adventurous tourists can visit the small Rastafarian community on the island or just jam to the reggae in the beachside bars. Kayakers should head to the north where you’ll find endless mangroves for an adventure. A short distance from Belize’s Barrier Reef is South Water Caye. The tiny island, just 16 kilometers (10 miles) from Hopkins, plays an integral part in conservation efforts. The waters are protected to preserve marine habitats. Visitors who travel to South Water Caye will have untouched beaches and can use the area as a base for diving and snorkeling in the nearby waters. Tobacco Caye, located in the South Water Caya Marine Reserve, makes a perfect place in Belize to escape the crowds. Relatively few tourists visit ,and those who do are here for the endless snorkeling and diving opportunities. If you’re here for relaxation, rent a charming bungalow on the side of the beach and stay in your own tropical paradise for a few days. Belize is famed around the United States for its long white sandy beaches. Palm trees line the shore and the gentle waters of the Caribbean Sea laps against the coastline. The nation has more than 300 kilometers (186 miles) of mainland coastline and hundreds more on the islands, cayes and atolls. Located almost 40 kilometers (25 miles) east of Belize City in the Caribbean Sea sits Turneffe Atoll. Turneffe’s beaches are beautiful and home to a variety of endangered marine life. Divers of all levels of ability often come here to experience the abundant fish, corals and stingrays. Mangroves cover part of the island too. Head to Glover’s Reef Atoll, named after two English pirates, for a more tranquil experience. The protected marine reserve has a huge lagoon with more than 800 coral rings. A variety of accommodation is available from campsites to cabins and resorts. Whichever type you choose, you won’t be disappointed. The few tourists who do visit tend to spend the day in the water and evenings winding away the hours in the bars. Or you could just relax in a hammock attached to two palm trees and enjoy the gentle lapping of the sea. Hopkins some 140 kilometers (87 miles) south of Belize City often gets referred to as the country’s friendliest town. The Garifuna village has untouched beauty, which has survived the recent tourist boom. The coastline doesn’t have the high rises that dominate other parts of the country. Instead, you’ll find laid-back locals, beautiful beaches and a friendly atmosphere. And after relaxing for a few hours, why not head out and explore the nearby mountains, reefs and waterfalls? The country is famed for the vast number of diving spots including the iconic barrier reef and unusual sinkhole. But, you don’t have to go far from the beach to experience the marine life. Swimming near the shore reveals a magical world living just below the surface. 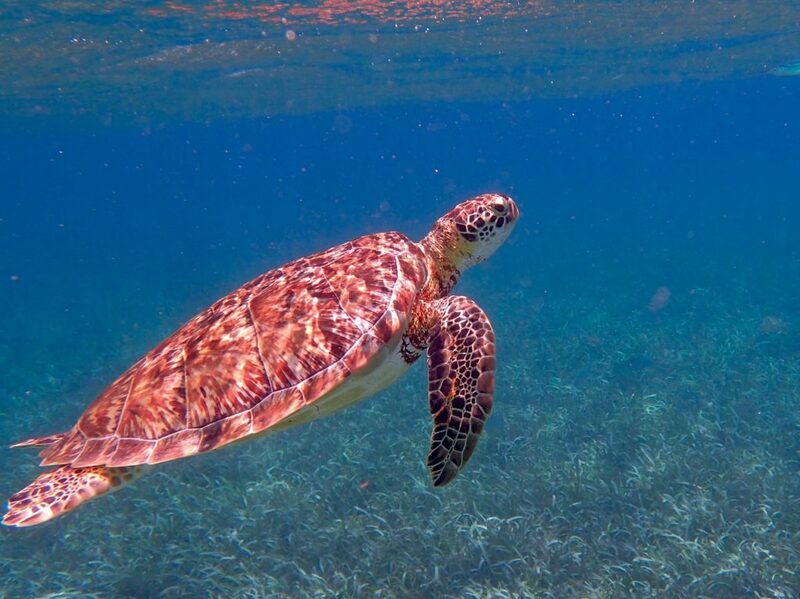 Belize’s Great Barrier Reef is one of the leading attractions in the country. The colossal reef is second only in size to Australia’s and holds the title as the largest in the Western Hemisphere. Boat tours take visitors to see the natural wonders where you’ll have the chance to go snorkeling. Diving tours are also available. For a unique experience, head to the Great Blue Hole. The Great Blue Hole, a giant sinkhole, goes down approximately 124 meters (407 feet). Experienced divers can reach to the bottom and find a world unlike anything they have ever seen before. Corals, endless fish and the possibility of coming face to face with sharks are just some of the highlights. Diving is only for the experienced. Novices can snorkel at the surface. When you combine everything, it’s clear thatBelize has a lot to offer tourists. It’s easy to understand why so many people come on holiday here each year. And you should too in order to experience the natural beauty and the tropical paradise in this incredible Central American nation.